Nine Scottish stations have been named among the top 100 in Britain, according to a new book. Simon Jenkins, author and founder of the Railway Heritage Trust, profiles his favourite British stations in his new book “Britain’s 100 Best Railway Stations”. Rating the stations on their architecture, ambience and historical significance, Jenkins travelled the length and breadth of the country to narrow down the list from 2,563 to just 100. Of the nine Scottish stations that made the list, two also made the top 10 – Glasgow Central and Wemyss Bay. Glasgow Central station – the second-busiest in the UK – was chosen for its atmosphere, as well as its category A-listed structure. It recently received a 95% customer satisfaction score in the recent National Rail Passenger Survey. 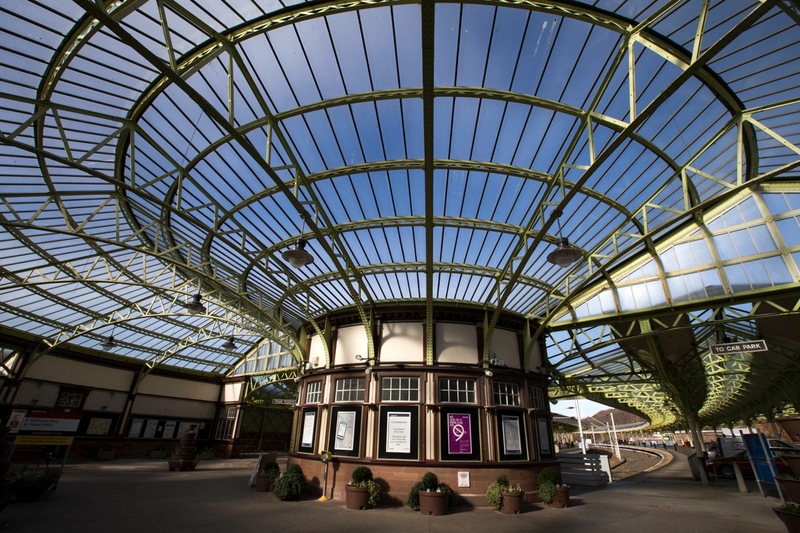 Wemyss Bay, which features on the cover of the book, was picked for its stunning Edwardian building. Built to cater for holidaymakers heading from the city to resorts on the Clyde, the station features a covered promenade from the platforms to the adjacent ferry terminal. “It’s great that so many stations in Scotland have been included in this list. We recognise the importance of stations as focal points for local communities, and we are very lucky to have fantastic teams who help keep our stations looking bright and welcoming all year round.